Birth of Venus (after Botticelli) and Olympia (after Manet) can now be seen at Marcia Reed’s delightful “Gallery 37 – A Destination for for Artful Living” in Milford DE. 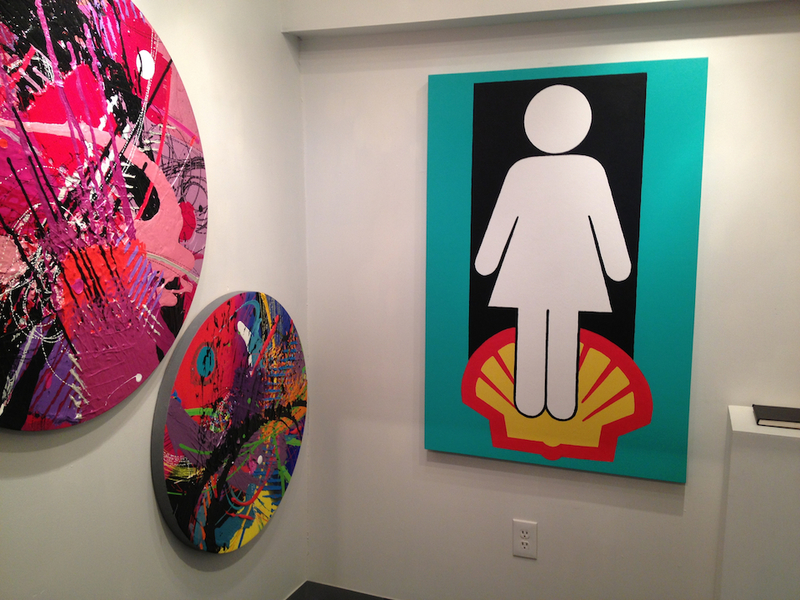 There they join an eclectic collection of quality artwork by contemporary artists including the two round Tondo paintings by James Hendricks and the welded steel table by Justin Thomas seen in these photos. Previous PostShowing in NovemberNext PostBack in Brooklyn! 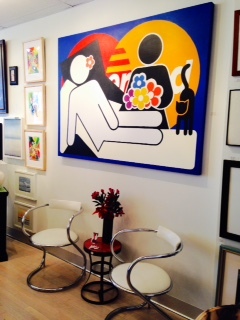 Tom Newby’s paintings are refreshing, bold, crisp and playful. A delight.